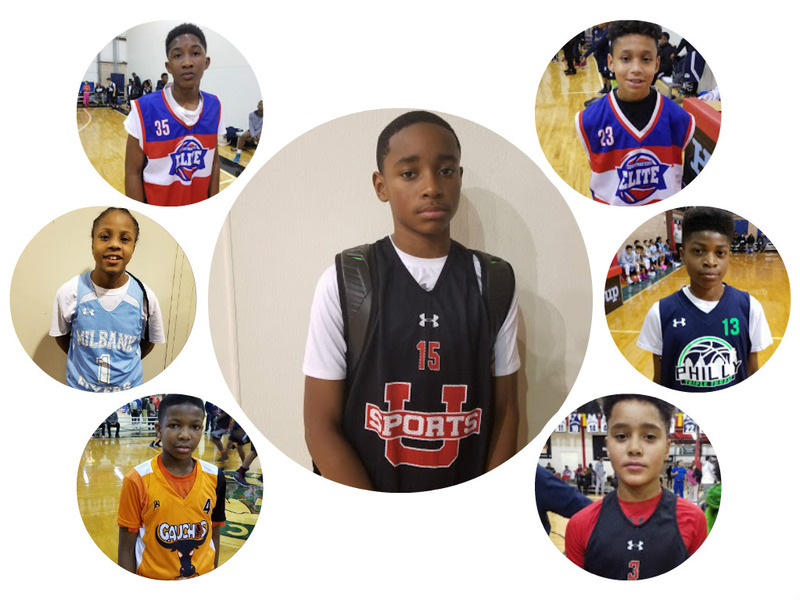 The 6th Grade Division of the Basketball Spotlight Tip Off Classic was exciting and gave a look at many fresh faces. Here’s our Best Of The Best and All-Tournament Team. Best Performer: Sebastian Robinson (Team IZOD)- Robinson once again proved why he’s so highly ranked in the country. He scored and dished the rock while showing ultimate leadership throughout the event. Most of all he led them to the banner. Best Prospect: Jakari Tertulien (Courtmasters Elite)- Jakari has the frame and game to be an elite player for years to come. His versatility will help him go a long way as he will become a name to know in the region. Best Playmaker: Elliot Cadeau (Team IZOD)- Cadeau can impact the game without scoring a bucket. He gets a kick out of dishing the rock to teammates in the right place. That’s a unique quality in today’s game. Best Fresh Face: Chardonnay Hartley (Milbank) – This young lady not only came to play with the boys but performed on a high level. She’s skilled and has some of that NYC flash in her game. Get used to her and she should appear on this site for years to come. Best Floor General: Jayden Reid (Gauchos)- Reid can dribble through a key hole and still finish off the play. It was impossible at times to keep him out the lane. I like his flair for the game and the way he sees the floor. Best Scorer: Ernest Shelton (Philly Triple Threat)- Shelton opened up in the scoring column against Milbank and Courtmasters Elite dropping 22 points in each contest. This Philly product can score with the best of them. Best Defender: Jayden Fortes (Courtmasters Elite)- Fortes played lock down defense for the full 94 feet. He knew how to pressure the opposing guards and force some turnovers. He’s presence on the defensive end spread to his teammates.